Is that a stink eye that I see? Or is Rowan just teasing me? I hope its the latter! Haha! I can’t believe that it is March already! With two months completed of 2018, here is my second monthly pocket page spread, summarizing family life. 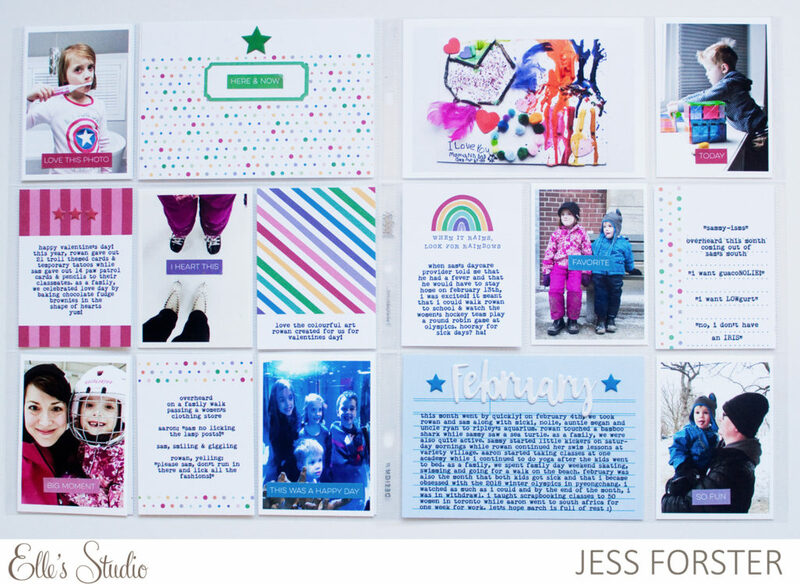 I am so in love with all of colour, especially “when it rains look for rainbows” journaling card. 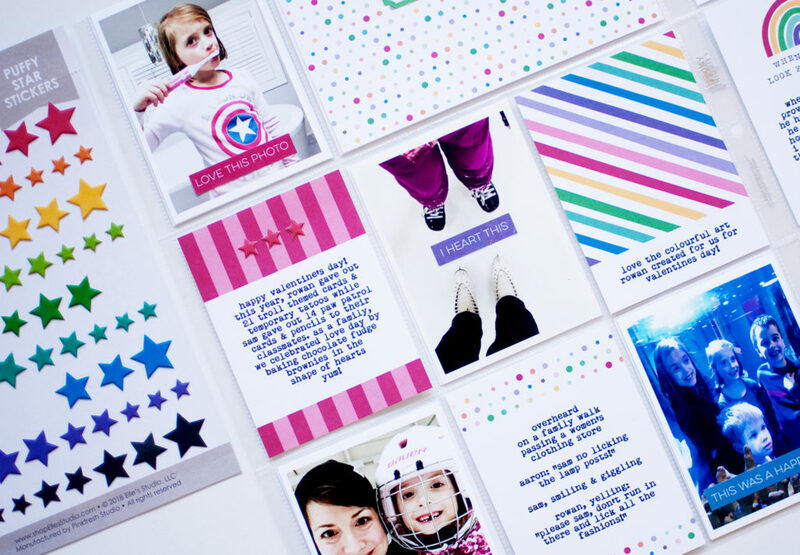 The cards are available today as part of Elle’s Studio March release! You can purchase that kit here. Olympics, swim lessons and soccer practice – oh my! For this month’s summary, I used the monthly puffy stickers as well as those awesome puffy star stickers. I realize I can’t write everything that happened in February but my motto is something is better than nothing. 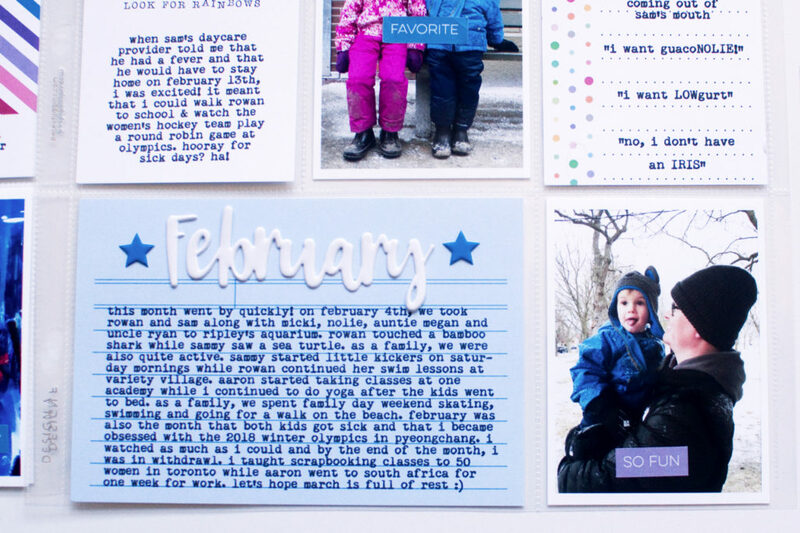 This cards give a nice overview of things we did and what held our attention – like the Olympics, 24/7! Although I don’t classic pictures of Valentines Day or the Olympics, my strategy this year it to include cute pictures of my kids doing every day things and overheard conversations. If I want to tell a more indepth story, I leave that for another 9×12 spread. 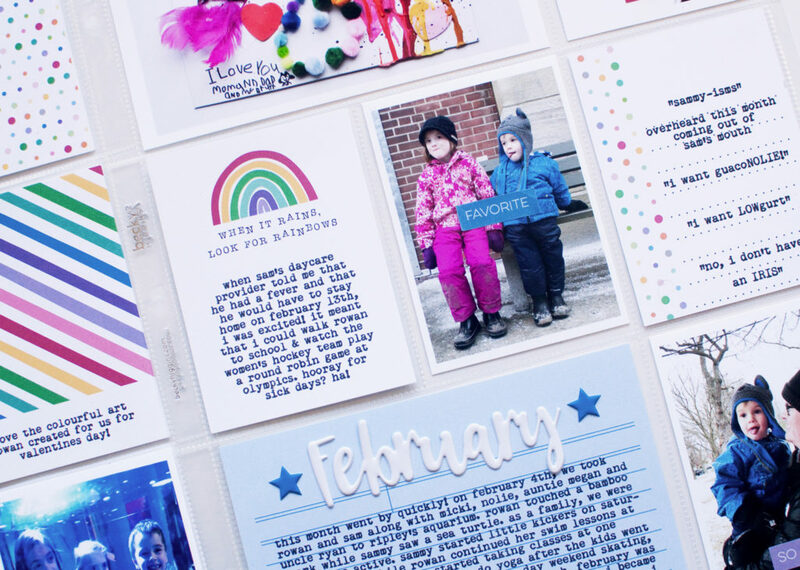 To me, repeating this formula, month after month, is going to help me finish my 2018…..that and Elle’s Studio awesome colourful cards are going to keep me on track! What’s your 2018 documenting formula? Are you “caught up”?